How do I reduce the labor needed to execute my business without impacting quality? How do I retain a quality workforce in the face of increased competition? The issue is far more nuanced of course, but these are the drivers of the primary way to keep a productive workforce as labor demand increases and quality workers scarcer. Cash tends to be king, and you will always have to compete for workers—particularly good ones—by paying them. Look at min-mid-max pay schedules that reward productive, experienced workers and create incentives for others. Aside from base pay, though, what are some options to cultivate and retain a great workforce? 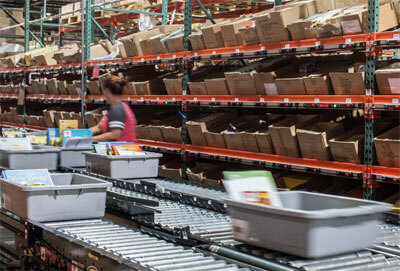 Warehousing & manufacturing jobs can be repetitive and one-dimensional. A more dynamic environment allows more people to try more types of work and can increase job satisfaction. This also helps you make your operation more flexible, as people are able to function in more roles. This process also helps you identify the kind of ambitious and flexible people you will want to retain. You may be competing with the so-called “gig economy” for people, who can make money on their schedule. Make schedules more attractive to employees and you’ll be able to keep them from competitors who can’t offer that flexibility. If your business model allows you to offer shifts that let people work when they prefer, your labor pool broadens. You may find people like mothers, students, or retirees who can do the work for you in smaller chunks of hours, if your system is flexible enough. Offer 20-hour shifts, flexible hours and other innovations that could attract these types of employees. 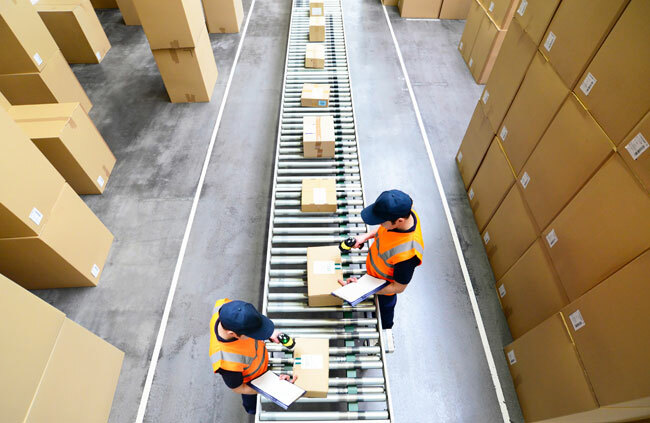 Track critical metrics, such as on-time shipments, returns, damage, error rates and other factors that your warehouse directly affects, then educate your employees on how they contribute to success or impact failures. Celebrate and track the victories. People like to understand the output of their work. As they become aware of these things, some will contribute ideas and process improvements that help you improve. Find ways to engage your entire workforce. People who don’t feel valued, or who feel they aren’t treated fairly, will leave. Train your line managers on problem-solving and how to treat employees with respect. Track turnover rates to be sure one of your managers isn’t causing employees to leave. Engagement has many forms, but it begins with open, honest and fair dealing with every employee in the building. Find solutions that can go all day, every day that minimize the labor needed to execute the business. Your process should include an evaluation of which areas can be automated, and the ROI for doing so. Well-planned systems don’t have to involve site-wide automation, and certainly one size does not fit all. You can reduce labor stress by automating specific areas that have an outsized impact. Remember that all automation isn’t a dark room with a robot. It could be as simple as a conveyor that does some of the work people had to do previously. It could involve a revision to storage methods that are outdated and pull too much labor to execute. You can surround it with manual work if that’s needed, and still improve your operation dramatically while reducing the need to throw people at the problem. A rough analysis may include a workflow study that targets bottlenecks in your operational flow for improvement. You should then move toward a desired outcome and engage in evaluating material handling and automated solutions that could achieve your goals. Location information: where are your SKUs physically located in racks, shelving, flow storage etc. Costs: what are your current costs to process an order? Include labor, returns, and any other relevant information. These numbers do not have to be precise, but need to be grounded in fact. What are your current picking/packing processes? Order information: current number of orders, pieces, shipping data, error rates etc. Map the physical flow of an order from end-to-end. Define the key issues as you understand them. Reduce muscle-power jobs and increase ergonomics: In a tight labor market, you want as many people as possible in your labor pool. If a job requires someone who can lift 100 pounds, your labor pool is limited. If you deploy lifting assistance equipment, adjustable workstations and other effective methods for reducing physical demands and musculoskeletal stress, you have essentially broadened the pool of people who can do the work. Target repetitive areas where jobs require physical strength with process improvements or new equipment. 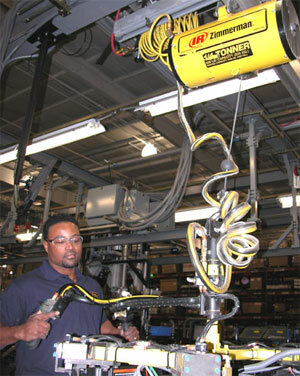 Simple improvements such as hoists near a production area mean that you can put more types of people into that role. Importantly, you can also retain aging workers who are skilled, but cannot physically do demanding jobs for longer. Get organized: Superior organization helps accomplish both employee retention and labor reduction by placing a premium on an orderly, safer facility. Consider 5S as a model, since it’s specifically configurable to warehouses or manufacturing operations & workcells. People like working in a neat, organized environment, and the efficiency you will create may reduce the need to add more employees as business grows.